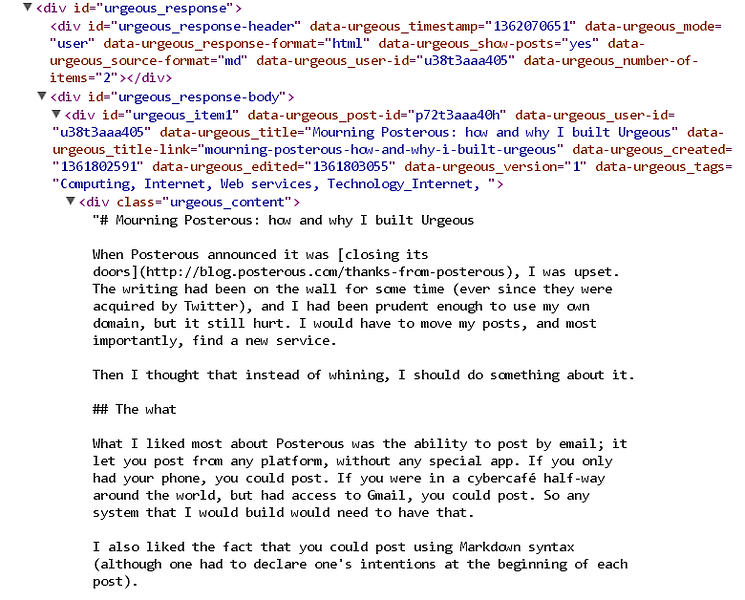 Urgeous' API lets users retrieve posts to serve them from their own pages / domain / etc. 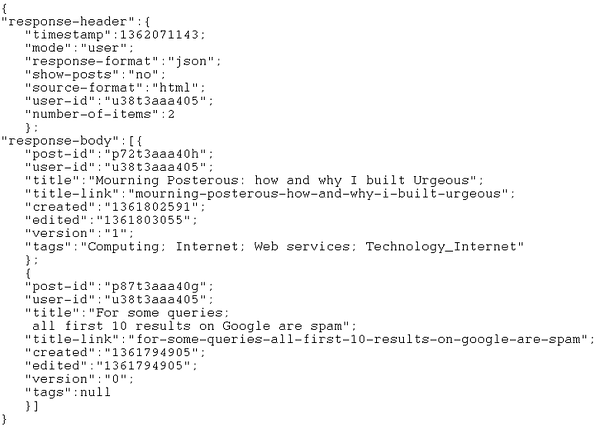 The API responds with either XML, JSON or HTML; every response can include the content of the posts together with metadata. In order to use the API you must first get an API key by sending an email to request_api@urgeous.com. Once you get your key you can start building requests. The posts in the response are in reverse chronological order. This is almost the same example as above, except that in this case, we added the parameter "show=yes" so that the request includes the content of the posts. (Note that all metadata are included as data attributes). Responses are encoded using UTF-8. Posts are returned in reverse chronological order. The header of the response describes the parameters it has received or their current value when this was changed using defaults. In case of errors, the cause of the error is included (where possible) and an error code is returned (loosely inspired by HTTP error codes).